'The Ultimate Guide To The Perfect Wedding Dress'. After all, we only get to wear a wedding dress once in our lifetime, and it is every girl’s dream to be transformed into a beautiful swan on our special day, and have all eyes on you. While it can be the most exciting part of wedding planning for many brides, it can also be a stressful process for some. Picking a wedding dress that you’ll be wearing for the most important day of your life is not the same as picking an outfit for work! 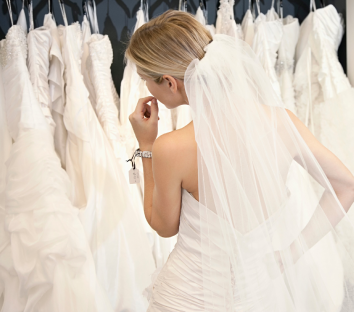 And with so many gowns to choose from, finding the perfect wedding dress can be overwhelming & daunting. Good news is, help is here! 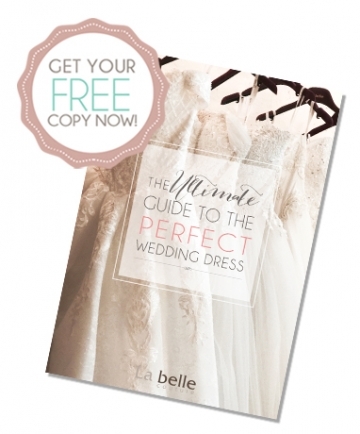 With ‘The Ultimate Guide To The Perfect Wedding Dress’, not only will you be equipped with the basic essential knowledge of wedding dresses, you will also discover how to simplify your wedding dress search! And as a result, you are guaranteed to be in the spotlight as you put on the most enviable dress. 1. A simple step by step guide to finding your perfect wedding dress that is put together by our team of professionals with more than 10 years of experience. 2. An introduction to the different silhouettes, fabric & necklines that are most commonly used for wedding gowns. 3. A self discovery bridal worksheet to unveil your bridal style. 4. A body analysis worksheet to find out what is your body shape and which dress silhouette best fits you . Established in 2006, La Belle Couture Weddings is one of Singapore's leading bridal boutique offering a full suite of bridal services, specialising in designer couture wedding gowns and professional wedding photography. Here at La Belle Couture, our mission is to provide a stress free experience to our couples through professional and sincere services while transforming your dreams into reality.